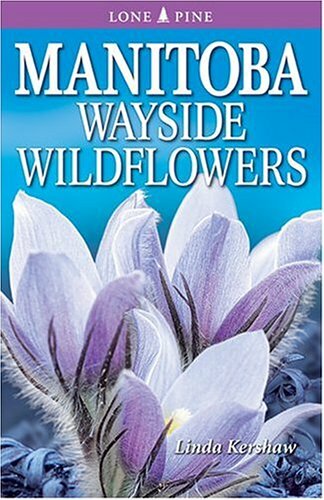 Synopsis: This guide features 112 of the common native and naturalized wildflowers that beautify the meadows, roadsides, trails and urban areas in our province: * Over 225 vivid colour photographs showing whole plant and flower detail * Notes of interest on edibility, medicinal uses, poisonous plants * Guidelines indicating whether flowers may be picked * Blooming times * Illustrated key and glossary * Tips for easy identification. About the Author&colon; LINDA KERSHAW is a best-selling author of numerous nature books and a career botanist who has consulted and done research for Environment Canada, the World Wildlife Fund, the Alberta Forest Service, the Canadian Forest Service and the University of Alberta. Her extensive field work has taken her into the vast Canadian boreal forest as well as above the treeline in the Rocky Mountains, on Ellesmere Island and in New Zealand. Linda now works as a writer and editor when not pursuing two of her favourite pastimes--photography and illustration. Much of her fieldwork over the past 25 years has focused on the long-term environmental effects of human disturbances in the Mackenzie Mountains and Mackenzie River Basin, NWT. She also has a special interest in rare and endangered species.